Mondev offers a new condominium project located in the coveted district of the Sud-Ouest. The project includes 62 units, ready to move-in. The project faces the new Woonerf Park. Phase 2 is now under construction. The condominiums have views of downtown and the Lachine Canal. The size of the units varies between 641 and 1325 square feet; units of one, two or three bedrooms. 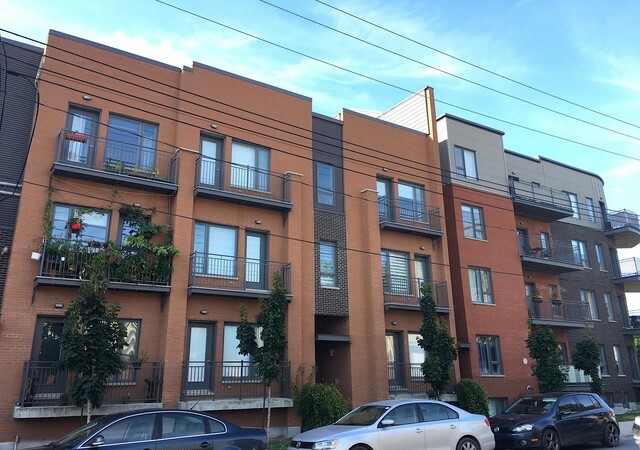 Well designed, the units have large windows, hardwood floors and large balconies. The Southwest, just steps from Griffintown, offers its residents a beautiful neighborhood life. With a stream nearby restaurants and shops, the Southwest is ideal for young families. The Alcôve on the Woonerf is move-in ready.